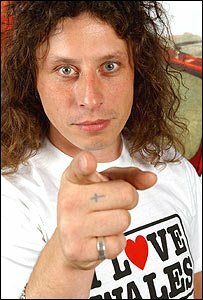 Rock star Stuart Cable returns to the BBC to present the Radio Wales evening show for two weeks from Monday. 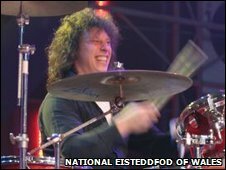 The former Stereophonics drummer began his presenting career with Cable TV and Cable Rock radio shows for BBC Wales. "I'm delighted to be back on BBC Radio Wales and once again looking forward to being part of the team," said Cable. Guests lined up for his stint on the show include Joe Brown and Turin Brakes, with sessions by Kate Walsh and Sharon Corr. Steve Austins, editor of Radio Wales, said: "We're delighted Stuart is returning to BBC Radio Wales. "The Evening Show is all about a passion for music and I know that's something Stuart has running through his veins." Cable came to prominence as the drummer with three-piece rock band Stereophonics from Cwmaman who emerged from obscurity in the south Wales valleys to worldwide fame and support slots with the Rolling Stones. His larger-than-life personality made him a natural for radio, but his burgeoning media career was one of the factors behind rifts in the band which led to his sacking in 2003. In autumn 2007 Cable quit Radio Wales to help launch a Cardiff-based branch of rock station XFM, which closed after just six months on air. He is now drumming with a new group, Killing For Company, which is preparing to release its debut album. Cable has also published his autobiography - Demons and Cocktails - in which he talks about fame, drugs and his sacking from the Stereophonics.